Quickie Xenon2 Swing Away Ultra-Light Wheelchair. The lightest folding wheelchair in the world, now with swing-away leg rests. 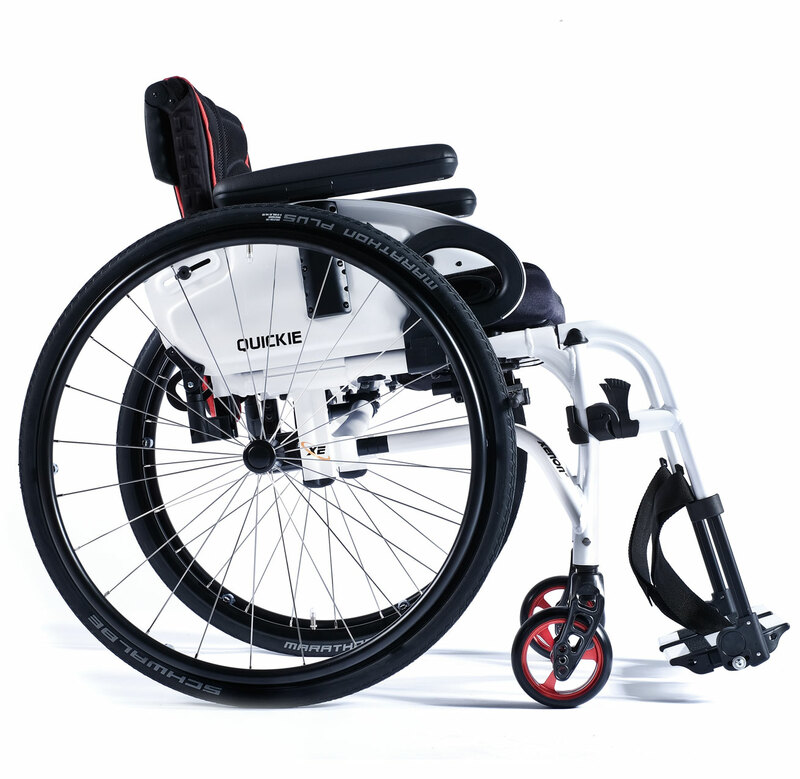 From just 10.3kg and with a new unique cross-brace combined with the completely re-designed axle stem, the Quickie Xenon² SA wheelchair is easy to fold, lift and transport. It has been cleverly designed to create the kind of minimalistic style that you'd normally expect from a rigid wheelchair. With a reinforced Swing-away front frame for easy standing transfers in and out of your wheelchair, the Xenon² SA also has the most compact folded dimensions for easy portability by car. 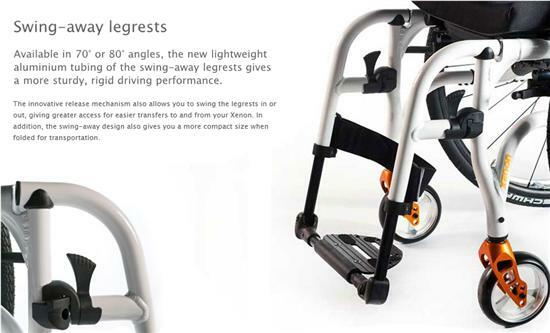 The lightest folding wheelchair with swing-away legrests! 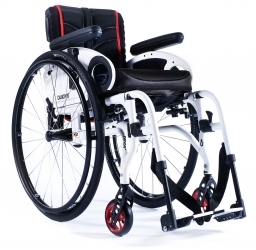 At just 10.3kg, with an innovative cross brace, and compact folding dimensions the ultra-lightweight Xenon² SA wheelchair is easy to fold, lift and transport - and the Swing-away front frame enables easy standing transfers in and out of your wheelchair. It has been cleverly designed to create the kind of minimalistic style that you'd normally expect from an active, rigid wheelchair. 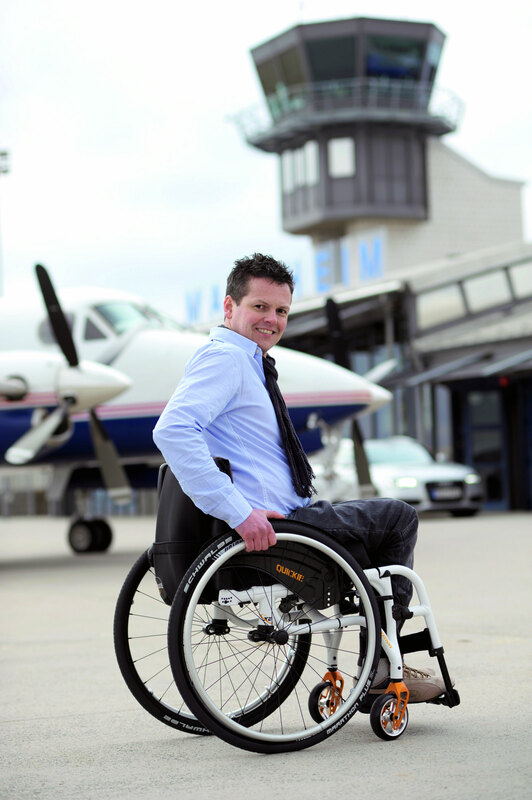 With a sporty, elegant design and innovative technology, the Xenon² SA provides a lightweight folding wheelchair that's the ideal travelling companion for the active person. 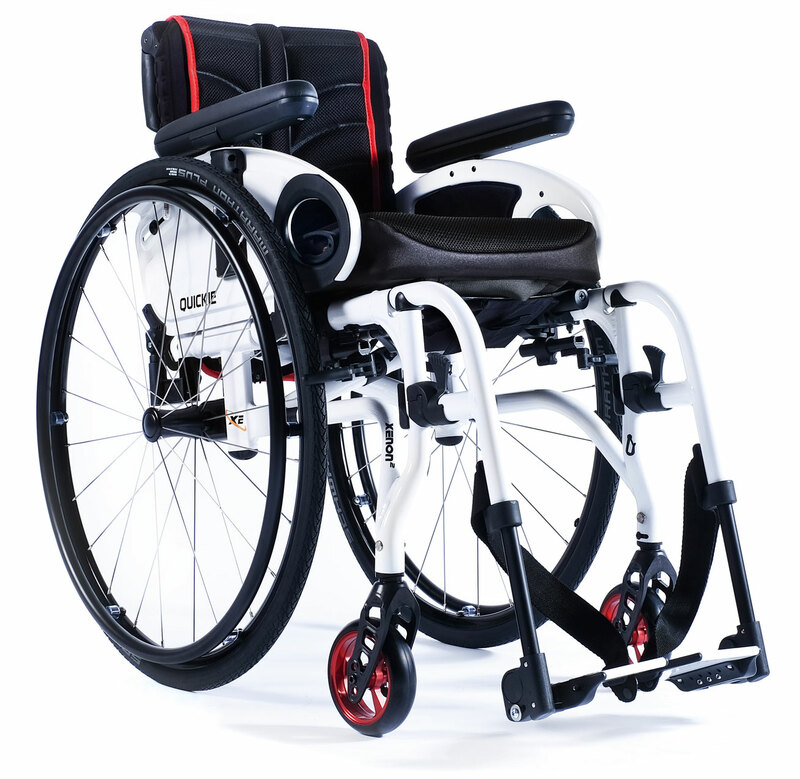 At the core of the ultra-lightweight Xenon² is a unique cross-brace that fits so neatly under the seat it's barely noticeable - giving a very minimalistic, open-frame feel that you'd usually associate with an active, rigid wheelchair. But the similarities don't end with the appearance - the completely re-designed axle stem, combined with the new cross-brace, provides the stiff, stable driving performance feel of a rigid frame, but with all the portability of a folding one. Just a quick message to let you know Ginny\'s chair is working perfectly. We called it Apollo because of the futuristic look and black and white colours that make it look like one of NASA\'s finest rockets! As you know we were looking to have it ready and tested for our trip to Texas where it worked without missing a beat. I have attached a few pictures of the chair surrounded by its bigger brother namesakes and the Space Centre in Houston. Thank you so much for your help sorting the chair and helping get the spec\' right.